The Journal Diaries is a blog segment where we get a sneak peek into the journals, notebooks, organizers, and diaries from people all over the world. (Click here for past posts.) My special guest today is Anna from Russia. - Tell us a little more about yourself. 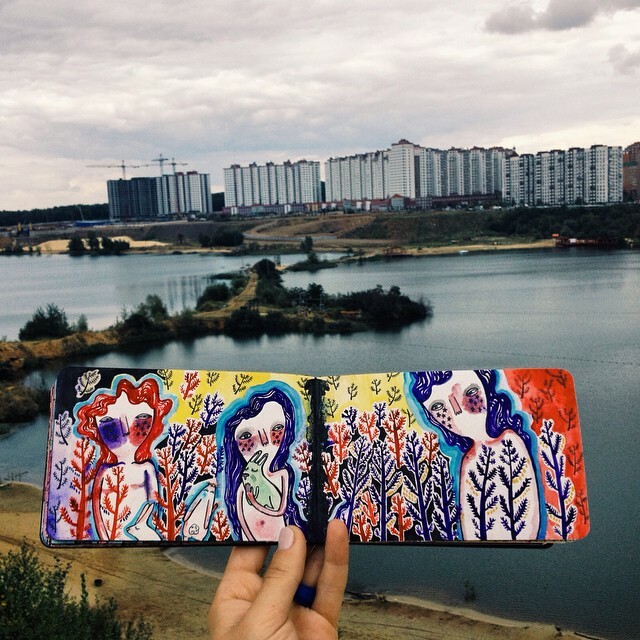 My name is Anna, I am 18 and I live in Moscow. 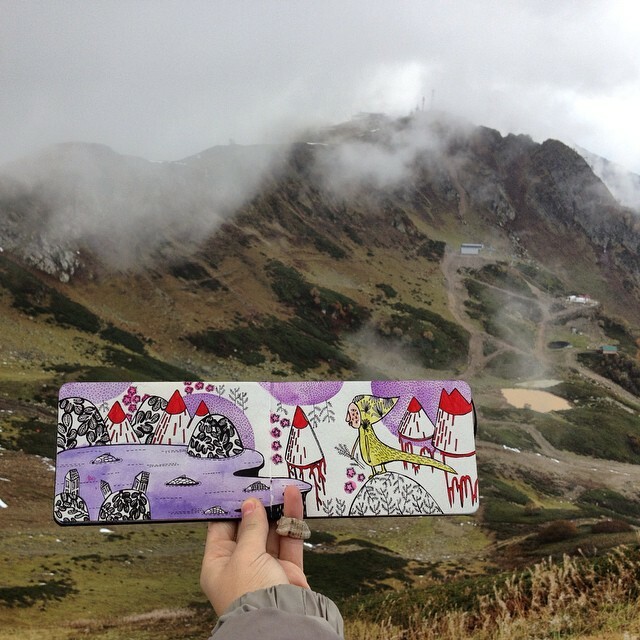 I started my blog last summer, that time I was drawing fewer, than now. - When did you start journaling, and how did you get into it? Idea about art journaling appeared when I was sitting on the tree with my moleskine and staring at the Italian lake, I just suddenly thought that it would be interesting to try to take pictures, while travelling. - When do you find yourself journaling, and how often? For now I can say that my blog is one of the most important things for me, I draw several pictures every day and try to take photos every day also. When I am taking pictures, I feel myself happy, I can feel support of my friends and followers. I understand that I inspire people and it inspires me to draw more. I can start drawing everywhere, for example if I see a funny person, I can draw him immediately, no matter where it happens! - How would you describe your artwork? My drawings are all different (although they look quite similar). Sometimes I mix medias, sometimes I use collage, but the main point is that each of my pictures contain different emotions, stories inside. 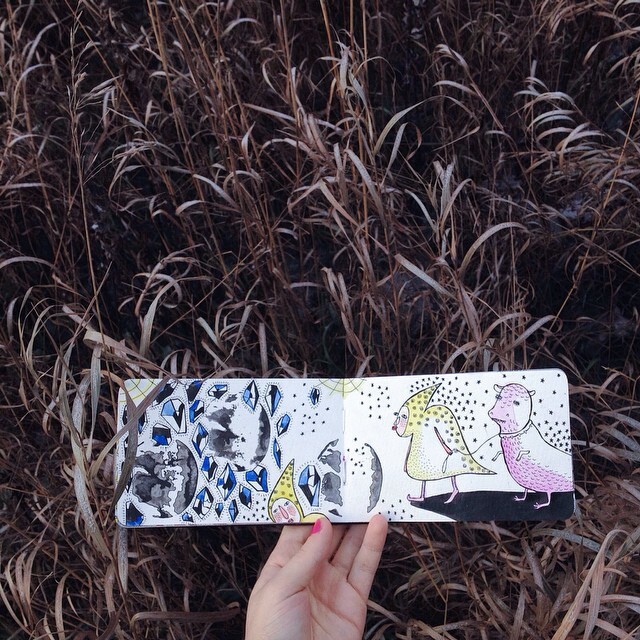 - What notebook or journal do you use for most of your drawings? 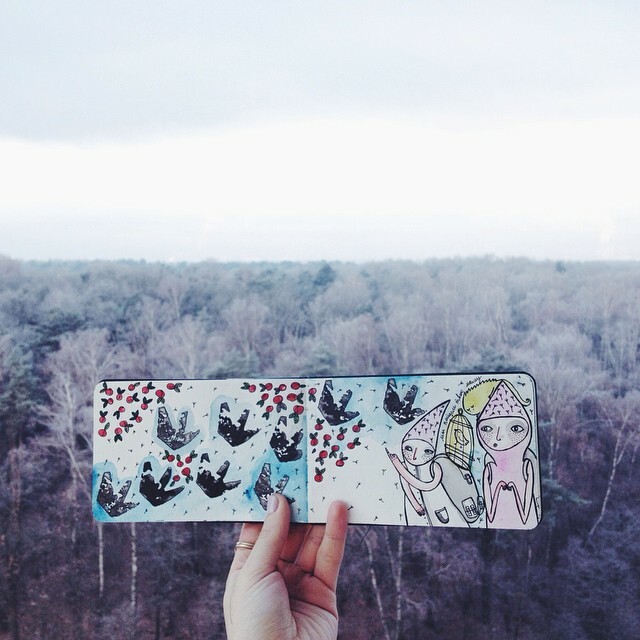 - Where is your art journal stored when not in use? I have 16 finished moleskines now, and I keep them in a large box. Actually I plan to buy a shelf for them, but still didn't find time. - What is your favorite stationery tool or product at the moment? I always draw with a black pen and watercolours, although I understand that it would be better to develop my style of drawing and use other materials, but for now I can't refuse from these two stationery tools. 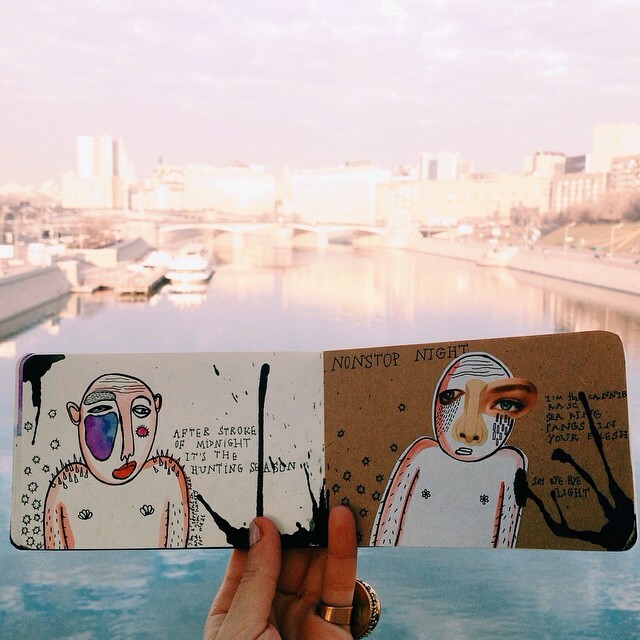 - What advice would you give for anyone looking to start art journaling themselves? One and only advice, which I would give to everyone is DRAW EVERY DAY. Even if it seems hard and sometimes there is no inspiration, you still can find it! And soon you will see that you are open for new ideas, new impressions and decisions. 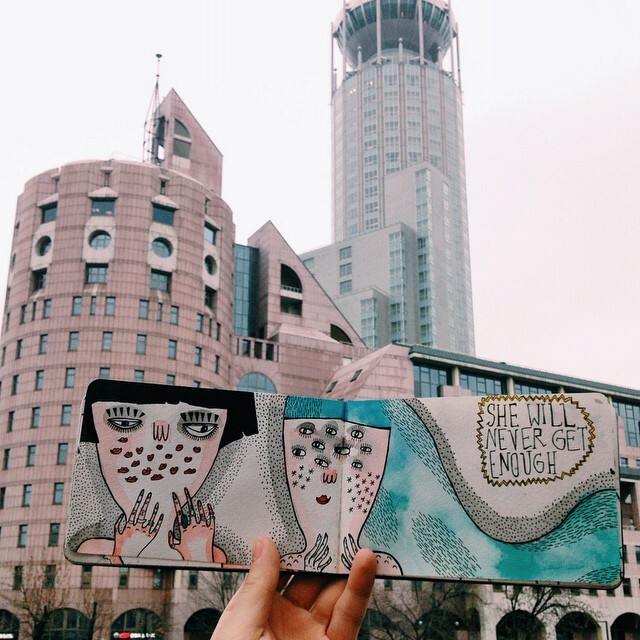 Thank you so much, Anna, for sharing your art journal with us! 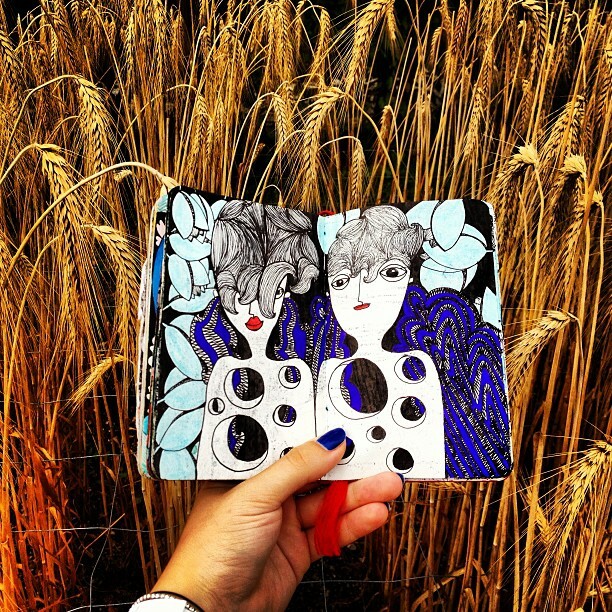 And for all you wonderful readers looking to connect, you can find more of Anna's journalings on her Instagram gallery, @moleculahowl. Holy crap these are so cute.... 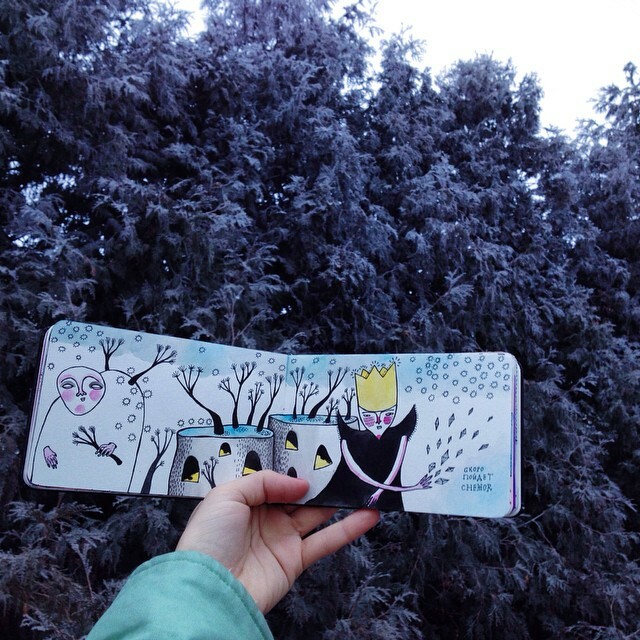 I love her illustrations and how she photographed them in front of landscapes. Oh, this is beautiful! Thank you for sharing with us, Michelle! 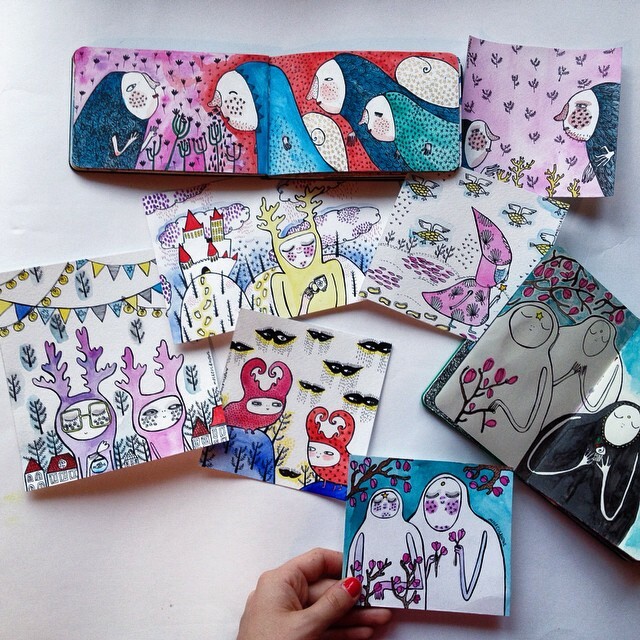 These journals are so so magical! These are gorgeous. I love the juxtaposition and the synchronicity of some of these photos. these are lovely! 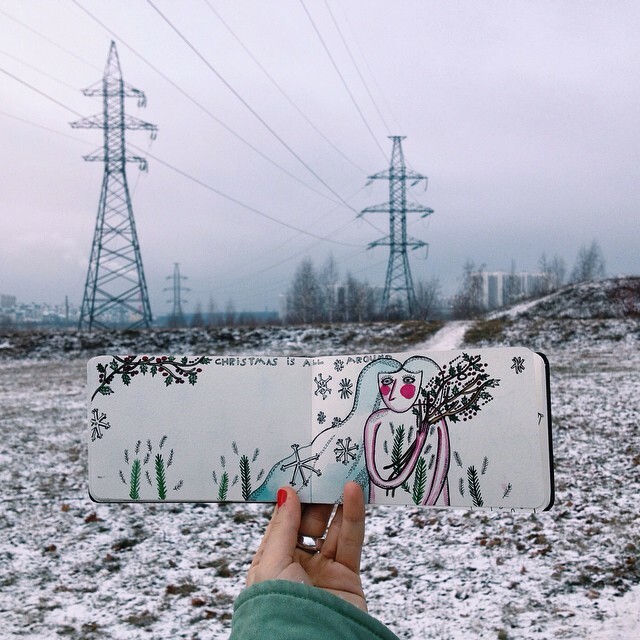 love the way she photographs her art!